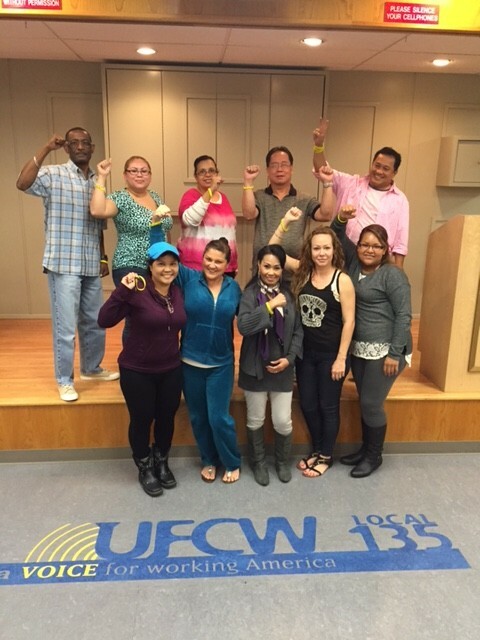 Quest Diagnostics workers in San Diego voted to join UFCW Local 135. The workers join a growing movement of phlebotomist and lab technicians who have come together from the Northwest to the Southwest to raise standards in the health care industry. Workers wanted to join a union in order improve their jobs and workplace. Better wages, respect on the job, stable schedules, and vacation and sick days are some of the top priorities for workers. Negotiations for their first contract begins next month. Quest Diagnostics is a leading diagnostics services provider in oncology and genetics. Quest Diagnostics annually serves one in three adult Americans and half the physicians and hospitals in the United States, and has 45,000 employees. 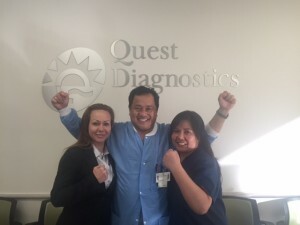 Given the company’s prominence, workers hope that through the growing power of their combined voice, Quest Diagnostics workers will be able to influence and improve standards for workers throughout the industry. Phlebotomist and lab technicians across the Northwest and Southwest began voting to join the UFCW after a chance encounter with their unionized counterparts in Washington state. With the encouragement and support of their coworkers, these workers are coming together and finding their voice. Visit LabWorkersUnited.com to learn more.